When we are successful, our communities will appreciate the scope, diversity, and global significance of Hawaiian agriculture as it was practiced before European contact. We will understand that Hawaiian agriculture arose from a populous, organized and innovative society, and that the society in turn was shaped by its interactions with the land. We will build on that understanding to create an innovative and dynamic modern society that has a deep understanding and connection to its land. It is our hope that this transformation will spread across the Archipelago, and across the Pacific to produce a transformed modern agricultural system that draws from the wisdom and sustainability of the past, the knowledge and experience of local farmers and ranchers, and the best agricultural practices of the wider world that provides Hawaii with most of our food. 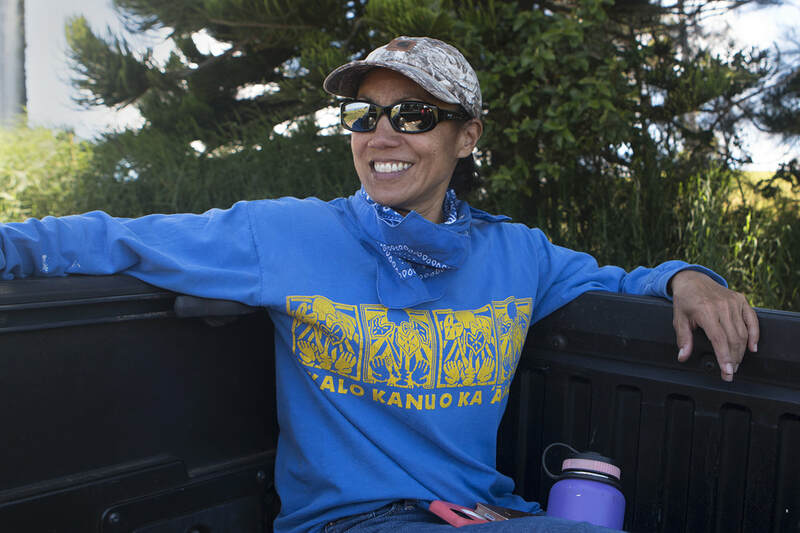 The mission of Ulu Mau Puanui is to engage in hands-on, land-based learning and culturally-centered science with learners, educators, families and community in order to revitalize and better understand the Kohala Field System. At Ulu Mau Puanui, culturally-centered science is the integration of Hawaiian epistemology or Hawaiian ways of knowing that help inform and inspire scientific inquiry.